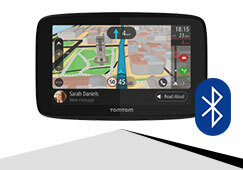 TomTom portable GPS systems are ready to use the moment you remove them from their box. Smart, real time information helps you navigate to avoid traffic jams, road closures, and severe weather conditions, allowing you to reach your final destination safely and on time. TomTom car GPS Navigation systems come equipped with multi-lingual guides, choose from up to 36 different languages and 50 different voices. 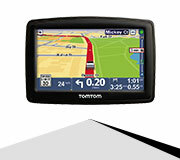 The TomTom ONE and TomTom XL series feature the most popular TomTom GPS systems on the market today. 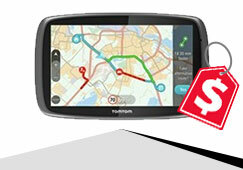 The TomTom GO 730 features touch screen and Bluetooth compatibility. 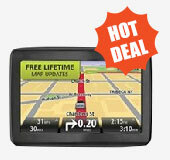 With the cutting-edge touch screen technology and high-quality 3D graphics, you can easily view intricate maps. 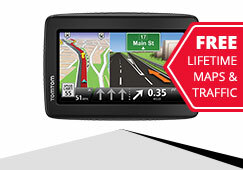 TomTom motorcycle GPS Rider series are ready to face even the toughest of weather conditions. Rugged and waterproof, the included RAM mounting hardware fits almost any bike. 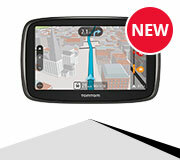 Smooth rolling map display and 3D birds-eye view make this the perfect road companion for a true American biker. 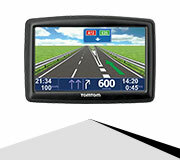 GPS Accessories are available for all TomTom car GPS units and motorcycle navigators; make the most of your TomTom navigation system with mounting kits, GPS antennas, front covers, docking kits, and much more. 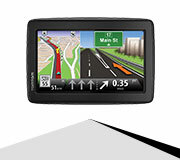 Refurbished GPS Systems are also available in case you want to take a TomTom GPS system for a trial run before purchasing a fully loaded vehicle navigation device.